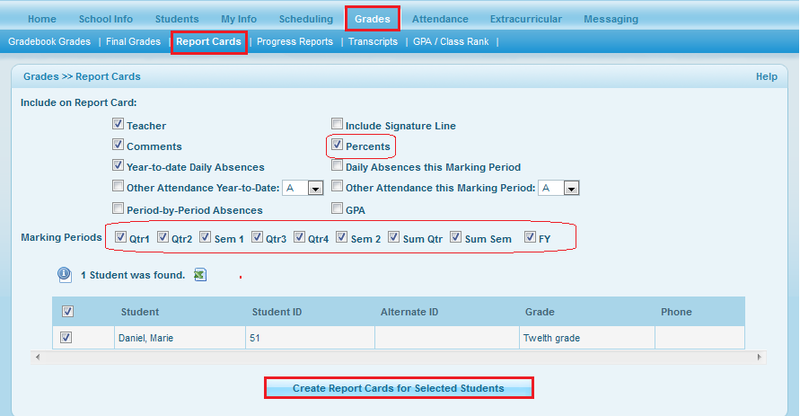 Parents can generate report card of their child from Grades >> Report Cards option. Select the marking periods and percents for scores with letter grades. The report card looks like the following.